We have significant experience in the area of construction law, on behalf of owners, contractors, subcontractors, and public entities on public and private projects, includes trials, arbitrations, mediations, appeals, bid challenges and substantial bond and lien prosecutions and defenses, as well as counseling private and public entities on a wide variety of construction matters, including contracts and disputes. The Shafron Law Group serves contractors, builders and developers throughout the New Jersey and New York metropolitan area with respect to some of their most significant disputes. We provide comprehensive legal services with respect to both sides of these issues. As a result, we can provide our clients on either side with the knowledge they need in order to anticipate the other side’s decisions and counter them with carefully considered legal strategies. We have particular expertise in litigation involving claims relating to Exterior Insulation and Finishing Systems (EIFS), roofs, mold, siding, cladding systems, fire suppression systems, structural failures, HVAC and other mechanical systems, sanitary sewer systems, sea walls, reserve deficiencies, professional malpractice, breaches of fiduciary duty by builder-sponsors and boards of community associations, as well as issues arising under the Consumer Fraud Act, the Planned Real Estate Development Full Disclosure Act, the New Jersey Condominium Act, Homebuilders Warranty Act and the Products Liability Act. Delay claims are a constantly reoccurring issue both in contracting phase and in disputes. Delay-related disputes are contractually specific and factually intensive. The nuanced language at issue in construction contract negotiation and litigation required experienced guidance. We have the experience that construction industry clients rely on in construction contract matters. We understand that time is essential in contract matters. We can provide contract services promptly based on our expertise of the issues presented in construction contracts. We work regularly with AIA forms and the documentation required in order to properly memorialize contractual obligations and duties. When our clients are served with a Notice of Violation and/or Order to Pay Penalties from a municipal construction code official or any other municipal inspectors concerning the New Jersey Uniform Construction Code and its corresponding regulations, or any municipal ordinance, the Shafron Law Group will aggressively work to timely resolve these issues. Building code violations and construction code violations involve an intricate set of statutes, administrative regulations and/or municipal ordinances that are also time sensitive. This time-sensitivity for many of our clients can mean the difference between a favorable outcome and a damaging result. Since we already understand the legal intricacies of Building Code Violations and Construction Code Violations, you do not have to pay for us to get up to speed on these issues. If an owner, developer, or contractor our clients are working with files for bankruptcy protection, it is important that they know their rights and how best to protect their financial interests. The Shafron Law Group has substantial experience dealing with complex construction related bankruptcy issues. 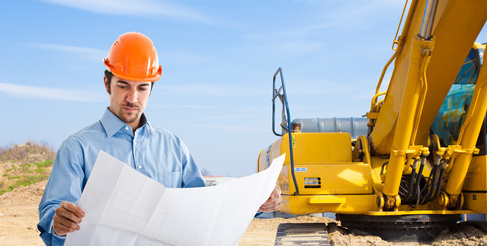 Construction bankruptcy issues involve an intricate set of statutes and legal rules. Protecting our clients rights in accordance with the Bankruptcy Code can mean the difference between getting our clients paid or not. A construction bankruptcy is often times confusing because of the interplay between construction law and contract law. There are three major types of legal issues that often arise in construction bankruptcies: construction lien issues, surety bond issues, and executor contract issues. Engaging in a large construction project is a daunting challenge. The last thing most parties want out of a construction project is time in the courthouse. Sometimes, though, our clients are required to litigate in order to protect their legal rights. It is at those crucial times that our clients rely on us to advise them how to prevail in court, prepare them, and win in a cost-efficient manner.